Yey for Mondays!. I know Mondays is often a drag yourself out of bed and groan day for lots of us but I have something lovely planned into my Monday mornings. This is the card we made at Coffee and Cards today. Just a few weeks left until Christmas so it is lovely to get a few beautiful hand made cards done and ready to post. I hold Coffee and Cards in a delightful community coffee shop called More+, locally to where my son goes to school. Every Monday 10 - 12 (except Bank Hols) and you can drop in anytime to make a card or two. It costs £5 which covers the cost of your supplies, tuition, and your hot drink too. The coffee here is great and they also do some awesome cakes and bacon sandwiches too. Its just a great way to start your Monday for all of us. Being a Stampin Up! demonstrator is the perfect job for me to fit my paper craft love and job around my children. And what better way to start the week but to do the school run and then wander across the road to hold Coffee and Cards. The ladies did a great job didn't they? We used Snowflake Sentiments stamps and also the Scalloped Tag Topper Punch. This punch is a must have in my stash. I use it so much for lots of things. Coffee and Cards is a simple one layer card. Suitable for everyone to take part in and enjoy and then leads onto my classes where more techniques are used. Still suitable for everyone though. I thought we would add a little heat embossing today though and we have embossed out tag in white embosssing powder to give it a pop. And added a little silver metallic twine behind. If you think you would like to join us for Coffee and Cards at More+ Community Coffee shop on Parton Rd. Aylesbury on a Monday, do drop in we would love to have you. 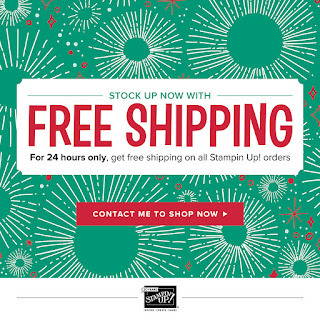 Another piece of news to make your Monday extra special is the Free Shipping Offer today only! How fabulous. All our goodies are hand picked in the ware house, shipped from Germany and couriered to your door and today it is FREE! So stock up and make the most of saving. Or that small item you couldn't justify the P & P for? Well now it is free! So go for it. Looking for a Christmas present? Take a look at our beautiful fully inclusive kits. Everything needed to start stamping inside a beautiful box. Or our gorgeous Planner! With the Free P & P today that's Christmas wrapped up! And if you would like to take advantage of the fabulous working from home opportunity Stampin Up! offers, do get in touch. 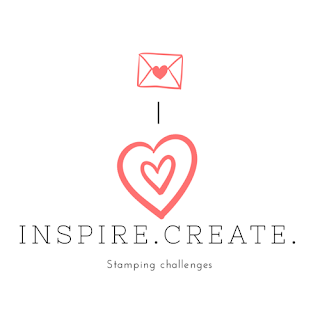 I would love to have you in my team ,there is lots of support, training and a whole community of Stampin Up! demonstrators out there to join. Brighten up your Monday too. I'd love to hear from you. Contact me for more information here or click Join in the sidebar. I used the Winter Wonder Textured Impressions Embossing Folder to create this simple but effective card. It is simply embossed onto the Champagne Foil sheet (9.5 cm x 13.8 cm) and layered onto a mat of Basic Black card ( 10 cm x 14.3 cm) . My card base is Whisper White cut at 14. 8 cm x 10.5 cm. The banner is 2.5 cm by around 8 cm and the Triple Banner Punch has been used to make it. I have stamped the sentiment from the Hearts come Home stamp set and raised it on Dimensionals. Such a quick and simple card but I love it. Here is my You Tube video for my Five Minute Friday series showing how I made it. Christmas In The Making And New Blends Markers! Look at this rainbow of colours! It makes me so happy 😊 When I was small one of the things I liked every Christmas was getting a new set of felt pens. Do you remember that too?! I always liked to keep them in the rainbow order they came in. I'm still in love with pens, note books and all things stationery. 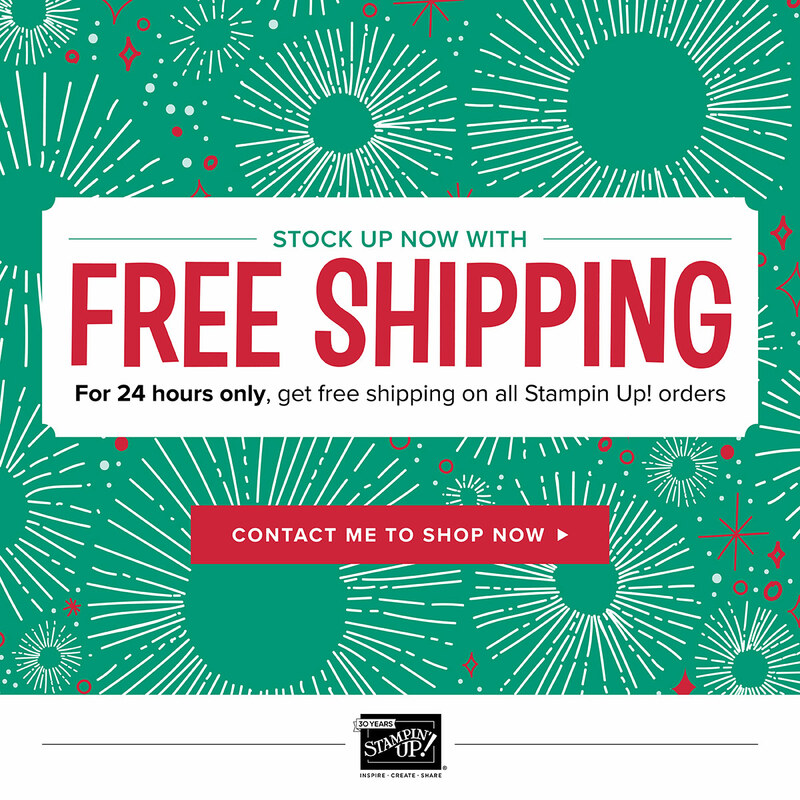 If you didn't know, Stampin' Up! released its brand new range of alcohol marker pens on November 1st. Blends! 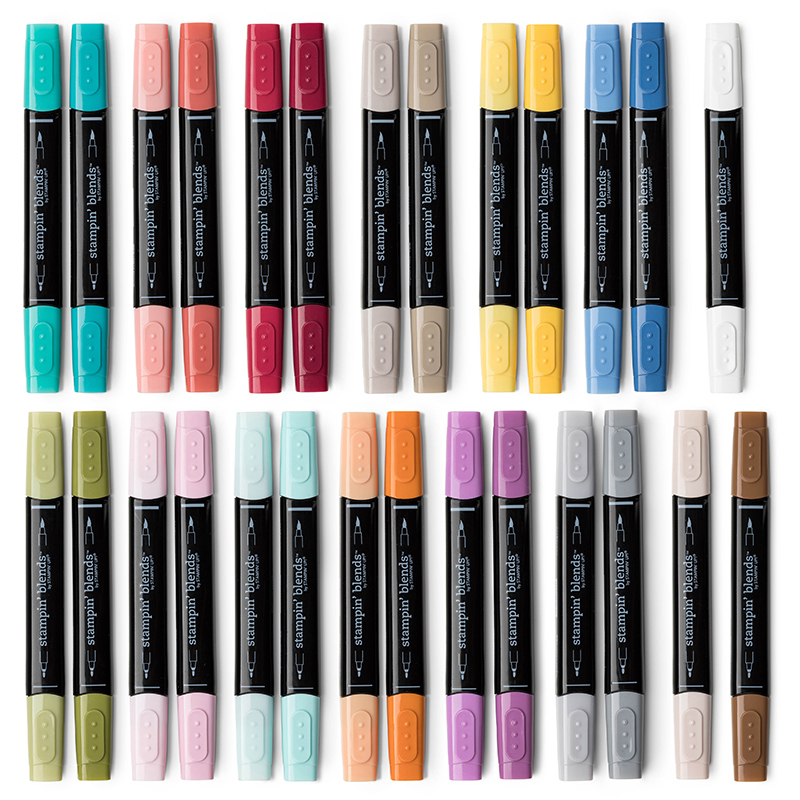 Colouring pens for grown ups that blend! In Stampin' Up! colours. How exciting is that! Each colour comes in a light and a dark shade. 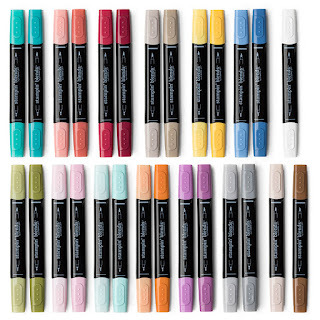 27 Dual tip markers. Perfect for shading and blending. I love the cutesy 1950's Christmas images in this set. Perfect for colouring in. I have used Cherry Cobbler, Pool Party, Daffodil Delight and Ivory here. I've rarely used alcohol markers before so I need to practice but there is very little to it. I also had a play with This Little Piggy stamp set. Love him! I would recommend having both the light and dark shades of the colours to create shading and blending. Pink Pirouette in light and dark for This Little Piggy and for this image from Floral Statements. I have added Old Olive for the leaves. They are great to use. and so theraputic. Stamp up a few images or use some of our Just Add Colour DSP and you are away. You could of course, buy them all in one go and be done with it, maybe the perfect Christmas present for you? However, I am aware that perhaps a monthly club might be more suitable to spread the cost out. 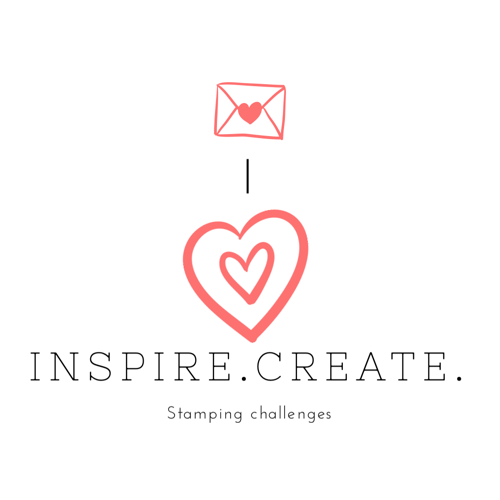 I have a new Stampin Blends club to do just that. The Stampin’ Blends Club is £29.50 a month, for 4 months. The club runs for four consecutive months. You can pay each month by card, over the phone or by Pay Pal. Contact me on 07952477702 Monday to Friday 9 - 5 to place your order. You may add other products to your order should you wish. 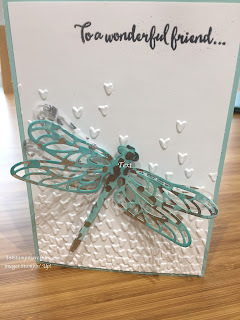 I love Dragonfly Dreams dies. Such a detailed dragonflies. 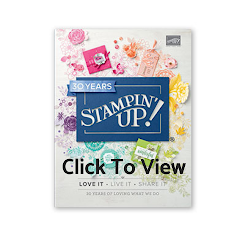 The dies are just one of many fabulous items in the Stampin' Up! 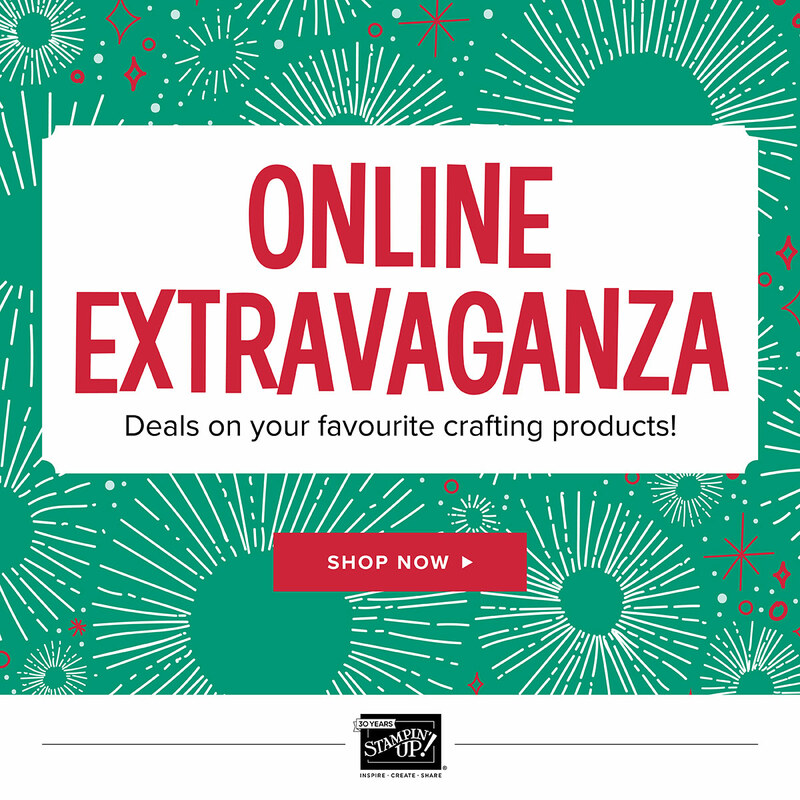 Extravaganza Sale that is on this week. 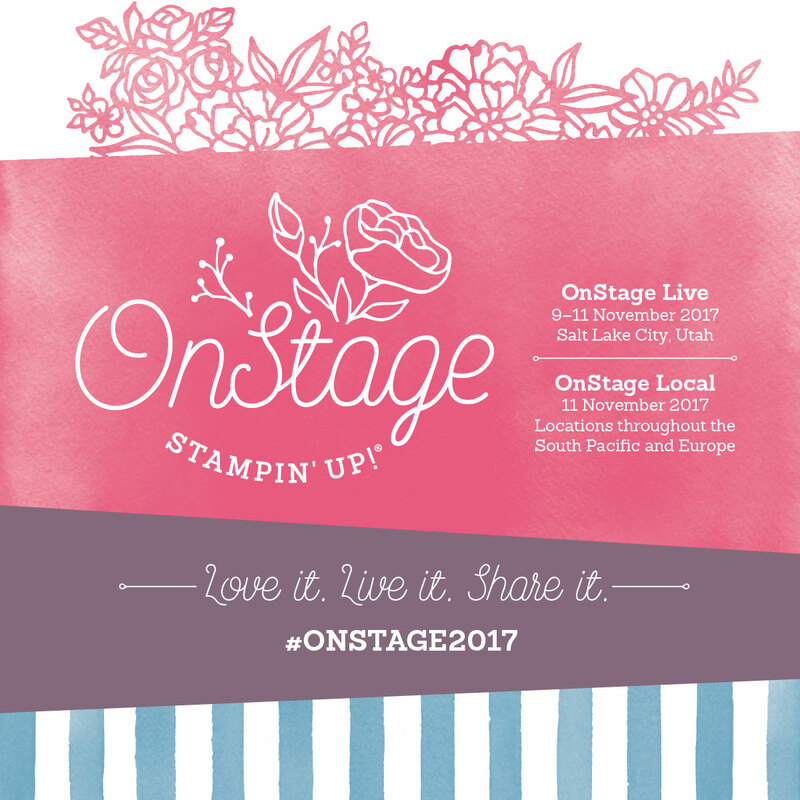 Bringing you news of Stampin' Up! 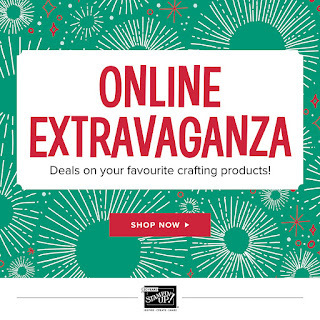 's Extravaganza Sale this week. So happy to let you know, there are lots of great savings to be made! Fill your wish list for less or stock up on paper craft essentials. Scroll down to browse all items from inks, ribbons, cardstock, stamps, dies and embellishments! Each pic is clickable. 30% - 40 % off! Is there something you would like in the sale ? Click on the links above or SHOP HERE to place your order or contact me. I would love to help. Stampin' Up! 's Hot, New Stamping tool - The Stamparatus! I am soooo happy to share this news with you. We have been waiting a long time for this. Stampin' Up! have developed their own brand new Stamping tool, the Stamparatus! And it does more than other similar tools on the market. This tool is a game changer! See it in action here and all its features and benefits. 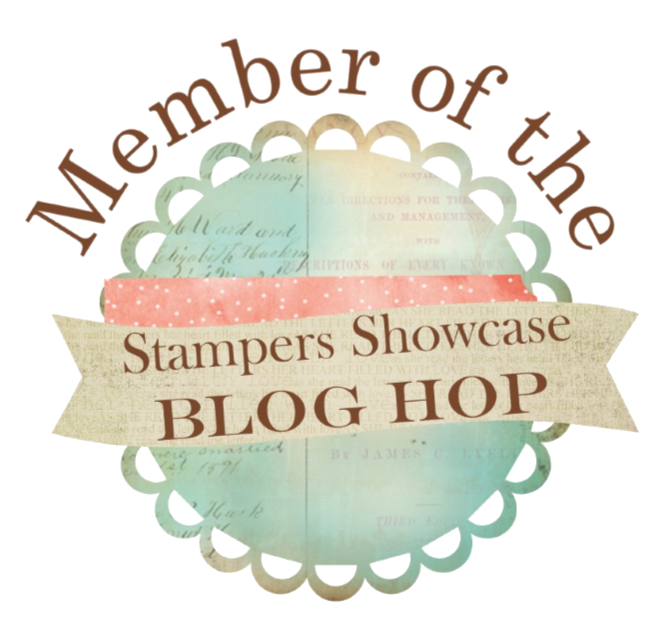 I have come back from Stampin' Up! convention absolutely buzzing after seeing this tool in action. It really is brilliant. No more missed stamping, being able to stamp perfectly EVERY time, being able to stamp multiples of the same card easily with perfect alignment every time, but the best thing for me has to be that it has two window to place your stamps! You can build stamped images so easily! and it fits any size paper. The stamping plates are hinged adjustable, reversible and removable! The magnets come as standard too! Anticipating high demand for this product Stampin' Up ! are releasing this product through a pre -order reservation system. This is the only was to be able to get one for the time being but it means you can reserve yours. No payment is required to reserve one but your name must be down to be able to get one! 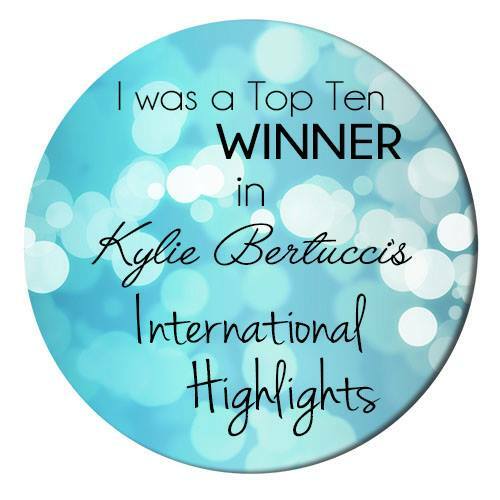 See my You Tube video on how you can get yours! If you would like yours, you can do so at http://katebolt.stampinup.net, click on shop and fill out the form to reserve from 9pm tonight. No payment is required to reserve. Once all the slots Stampin' Up! has allocated for the first pre order is full, you will need to wait until the next pre order slots open up on December 15th so get in quickly if that's what you would like. Both demonstrators and customers are ordering them at the same time. So I will be doing the same too!